We are pleased to announce that we now sell a wide variety of Hawk Performance brake pads and rotors, for all of your performance driving needs. 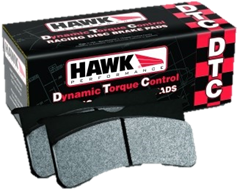 Hawk Performance brake pads are what you need for true control and stopping power. 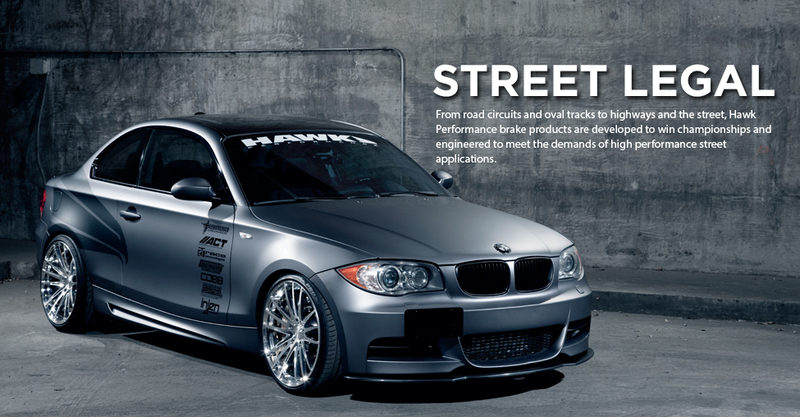 Hawk Performance produce a number of varieties of brakes for different purposes, depending on your need, from low to high torque applications, for both the track and the street so no need to change pads before leaving the track. Hawk Performance also provide a range of motorsport brake pads, designed to provide a high deceleration rate. Decades of experience in developing friction materials for various industries and applications has ensured that Hawk Performance provide a high-quality product that performs as it's meant to and will not let you down. For street, track and rally racing, normal brakes just aren’t going to cut it. Your car is going to be accelerating faster, turning harder and stopping with greater aggression. Match your brake pads to the higher speeds and harsher braking that your car is going to be subjected to. With brake pads from Hawk Performance a whole new style of driving will be unlocked for you to take advantage of. Go faster, brake harder and brake later. While your opponents are slowing down early, you can go for longer and brake with more responsiveness. A huge variety of pads give you options to match your braking and driving needs. There are budget friendly brake pads which can be used for general driving, pavement circle track racing, dirt circle track racing and for sports car/GT usage. So, you can go screaming round a track and then drive it home to your garage. If you want something more performance-focused, then Hawk have you covered. We have brake pads from them in our collection that can deal with temperatures of up to a truly blistering 870°C. If you manage to burn these out, then hats off to you. 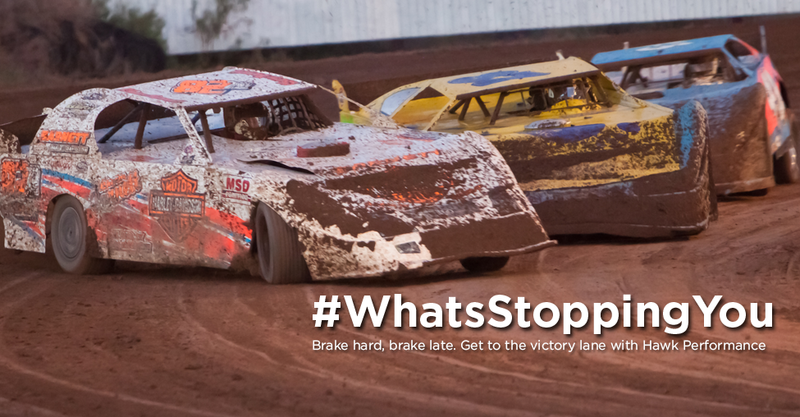 Hawk Performance brake pads have been put through the extreme stresses and strains of racing. In the past ten years, Hawk Performance products have won more motorsports championships than any other friction material manufacturer, if you need more convincing that their products are the business. Out on the track is the place to develop and innovate performance car components. Put to the test out on the track, Hawk Performance brake pads are guaranteed to last and serve you reliably. On top of the racing experience, the team at Hawk Performance has also spent years developing friction materials for industrial, military and even aerospace applications. It’s this experience dealing with the harshest conditions that has given Hawk Performance the expertise to manufacture the top-quality brake pads that are featured in this range. The brake pads in this range are built out of the toughest, most heat-resistant materials to ensure that they can keep up with and complement your driving style.